Eyeing emerging markets for its affordable smartphones, Microsoft launched its first Lumia device without the iconic brand name of Nokia, acquired by the global technology giant for $7.2 billion. 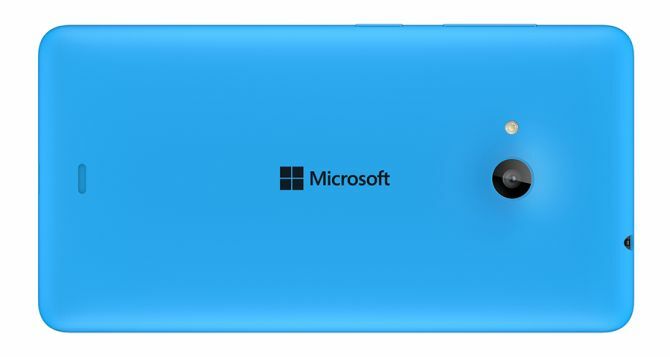 The first phone launched by Microsoft with its own brand name has been priced at 110 euro (about Rs 8,400). Incidentally, much before being taken over, Nokia had partnered with Microsoft in 2011 to launch its Lumia range of smartphones based on latter's Windows Phone operating system. Nokia had lost a considerable part of its market share to Samsung and Apple as it struggled to position itself among the fast changing needs of consumers. Affordable smartphones (sub-Rs 10,000 category) from the stables of Asian handset makers like Huawei, ZTE, Micromax and Karbonn have been driving the growth in emerging markets of Asia and Africa. According to research firm Gartner, Microsoft (with mostly Lumia devices) had a 3.2 per cent share of the smartphone sales in 2013, up from 2.5 per cent in 2012. Android and iOS (Apple devices), on the other hand, had shares of 78.4 per cent and 15.6 per cent. 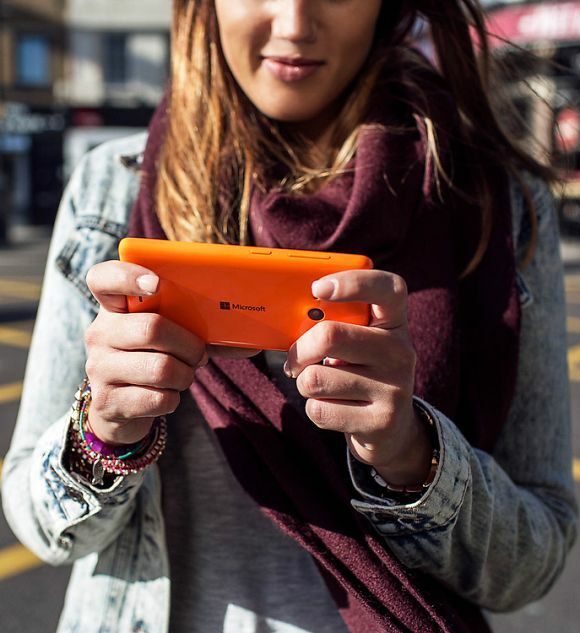 Featuring the Microsoft logo, the Lumia 535 has a 5-inch display, 1.2GHz quadcore processor and 1GB RAM. Along with 8 GB internal storage and 15 GB of free OneDrive storage, the device supports expansion up to 128 GB through microSD cards. It has a 5 MP front and 5 MP rear camera and 1,905 mAh battery. 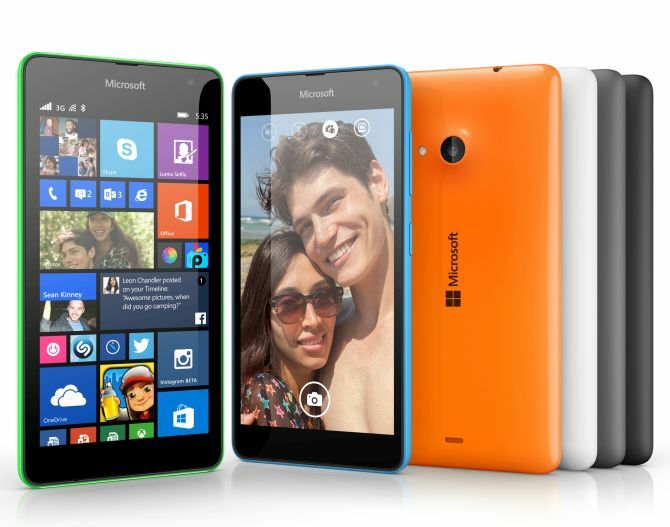 "The Lumia 535 3G Single SIM and Lumia 535 3G Dual SIM will be available in selected markets in November. Pricing for Lumia 535 and Lumia 535 Dual SIM will vary by market and operator, but is estimated to be around EUR 110 before taxes and subsidies," Microsoft said on its blog. Both the devices will come loaded with Windows Phone 8.1 operating system and the Lumia Denim update right out of the box, it added. US-based Microsoft, which completed its acquisition of Finnish firm Nokia's handset business earlier this year for $7.2 billion, had last month indicated that it would drop the Nokia brand from the device. Post the acquisition, the company had released a few Lumia phones but those models still carried the Nokia brand. The Finnish firm, meanwhile, continues to operate the networks, mapping and technology licensing business. 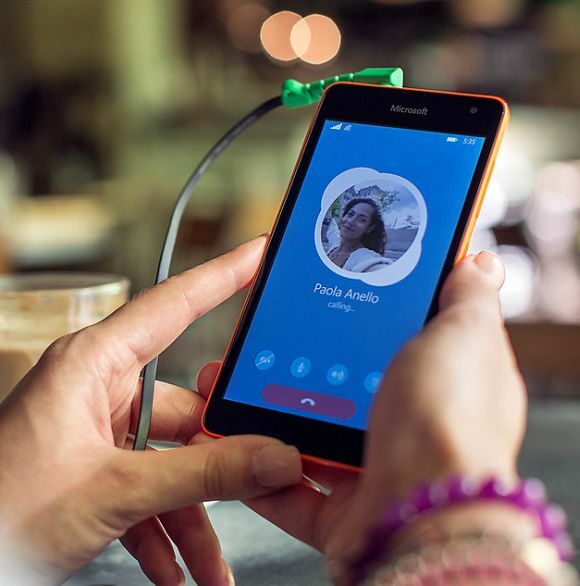 Despite the affordable pricing, Microsoft said the new phone will offer the same Microsoft services that high-end phones do, including Skype video calls, Office apps and the virtual assistant Cortana. In India, according to research firm IDC, the smartphone market was at 44 million units last year, up from 16.2 million in 2012.